At age 83, Marie Kolstad has a rich life. She works full time as a property manager and keeps an active social calendar, busying herself with 12 grandchildren and 13 great-grandchildren. But one thing needed improvement, she decided: her figure. At her age, she said, “your breasts go in one direction and your brain goes in another.” So on July 22, Ms. Kolstad, a widow who lives in Orange County, Calif., underwent a three-hour breast liftwith implants, which costs about $8,000. 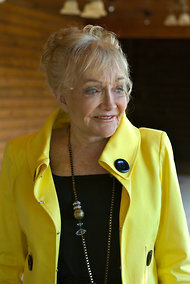 Ms. Kolstad is one of many septuagenarians, octogenarians and even nonagenarians who are burnishing their golden years with help from the plastic surgeon. According to the American Society for Aesthetic Plastic Surgery, in 2010 there were 84,685 surgical procedures among patients age 65 and older. They included 26,635 face-lifts; 24,783 cosmetic eyelid operations; 6,469 liposuctions; 5,874 breast reductions; 3,875 forehead lifts; 3,339 breast lifts and 2,414 breast augmentations. Except for a brief turndown during the recession, those numbers have been rising for years now, and experts say the trend seems likely to accelerate as baby boomers begin to pass age 65. But the increase also has raised concerns about safety and the propriety of performing invasive elective surgery on older patients, who may suffer unintended physical and psychological consequences. There are as many reasons for getting plastic surgery as there are older patients, experts say. Some people are living longer and remaining healthier, and they want their physiques to align with their psyches. Some are preening for potential mates and want their feathers to look their freshest. Some are still working or looking for jobs and want to be seen as more youthful contenders. And some are simply sick of slackened jowls, jiggly underarms and saggy eyelids. Gilbert Meyer, a retired film producer in Boynton Beach, Fla., who gave his age only as “over 75,” saw Dr. Jacob Steiger, a facial plastic surgeon in Boca Raton, Fla., for an eye and neck lift last year. He spent $8,000. 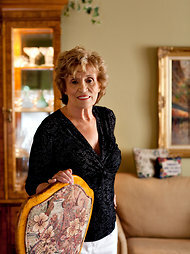 Mary Graham, a 77-year-old restaurant owner in Thomasville, Ga., got a face-lift and breast implants earlier this year. “The only time I go to the doctor is for plastic surgery,” she said. Any operation poses risks, but surprisingly few studies have focused on older patients and cosmetic enhancements. One report, published in the journal Plastic and Reconstructive Surgery in June, found that the hazards in people over age 65 are no greater than in the younger population. Researchers from the Cleveland Clinic reviewed the medical records of 216 face-lift patients over the course of three years. The researchers found no significant difference in the instances of minor or major complications between one group of patients whose average age was 70 and another group whose average age was 57.6. “We’re saying it’s not chronologic age that’s so important, but it really is physiologic,” said Dr. James E. Zins, the senior author of the study and chairman of the department of plastic surgery at the Cleveland Clinic. All patients in his study were screened for such health problems as lung and heart disease,diabetes and high blood pressure, as well as use of medications, like anticoagulants, that could have complicated the operations. But not all older patients may be so thoroughly screened, , so his findings don’t necessarily mean the risks are minimal in an older population. While face-lifts can be performed under “conscious sedation,” other reconstructive procedures typically require general anesthesia, which may be risky for an elderly patient. Older patients may take longer to heal, and the results of plastic surgery may not last as long as in younger patients, said Dr. Michael Niccole, a plastic surgeon in Newport Beach, Calif. Some critics questions whether the benefits are worth the risks, which may be underestimated. Harriet A. Washington, author of two books about medical ethics issues, asks how older patients can give informed consent to plastic surgery when so little is known of its risks to them, especially to those with chronic conditions like diabetes, osteoporosis and heart disease. “It’s one of those things that has crept up on us, and I think, as usual, we’ve embraced the technology before we’ve really embraced the ethical questions and dimensions,” she said. And while most research indicates that people benefit psychologically from cosmetic procedures, reporting improvements in their appearance and in body image, a minority experience some kind of emotional “turbulence,” said David Sarwer, an associate professor of psychology at the University of Pennsylvania School of Medicine. “There are truly psychological repercussions to these procedures, which often aren’t covered in the informed consent process,” he said. And yet: Assuming a patient is healthy, meets all of the presurgical criteria and understands that there are risks, why is it people often are squeamish about seniors going under the knife? Nancy Etcoff, an assistant clinical professor at Harvard Medical School who studies biology and social beliefs about beauty, believes the double takes arise from our culture’s mixed feelings about old people actively on the prowl. “Part of our stereotype of old people is that they are social, warm and likeable, but powerless and sexless,” she said. “Here we are in the age of Viagra, which is very well accepted, but suddenly the idea of older people, mostly women, wanting to be sexually attractive at that age makes us uncomfortable. Ms. Kolstad asked herself much the same question. “In my day, no one ever thought about breast enhancement or anything,” she said. “But nowadays women go out and they would never get a second look if they show their age. I find that you have to keep up your appearance physically, even if you just want a companion or someone to ask you to dinner. A version of this article appeared in print on August 9, 2011, on page D1 of the New York edition with the headline: The Golden Years, Polished With Surgery.